The United States Department of Defense has a $716 billion national defense budget. In 2019, the Department of Defense is requesting $55.2 billion to spend exclusively on aircraft and related systems. 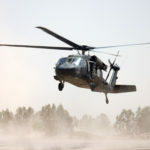 With that kind of spending power, it should come as no surprise that the military employs the largest fleet of Sikorsky UH-60 Black Hawk helicopters in the world. Many of these Black Hawks have serious upgrades as far as specialized helicopter parts go. 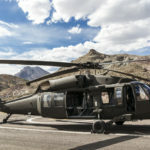 Keep reading to learn more about five of the customized utility options for Black Hawks that will deliver major results. Looking to use the Black Hawk for aerial firefighting? You need the Fire Attack System. This system includes a specialized bucket suspended by cables beneath the helicopter. The belly-mounted water tank is also great for extinguishing ground fires. A variation of the Fire Attack System includes an internal water tank for the civilian Black Hawk helicopter pilot. You can also outfit the Black Hawk for ambulatory patient transport by replacing the seats with stretchers. A med-evac helicopter can be integrated with a mission equipment package (MEP) that provides medical support while in the air. What is one of the most important parts that can be upgraded for a search and rescue mission? A forward-looking infrared (FLIR) camera. This camera is able to pick up a heat source, such as body heat from a human, and display it on a video image for the helicopter pilot. The FLIR camera allows search and rescue teams to fly helicopters in low visibility and still find the missing person. The fast-rope insertion and extraction system (FRIES) allows personnel to descend from the cabin of the helicopter to the ground quickly. This is a huge advantage when the Black Hawk cannot safely land on the ground to drop off or pick up passengers. Many people can slide down the rope at the same time. FRIES takes less time than rappelling or using a hoist. It allows for rapid deployment and extraction. The Black Hawk is designed to carry eleven combat soldiers, fully decked out and in a full assault configuration. The blades of the helicopter are titanium-cored and can resist anti-aircraft artillery up to 23 mm. The blades are even equipped with a pressurized sensor capable of detecting damage while in the air. An electro-optical sensor ensures the rockets and missiles that are mounted to, and shot from, the helicopter are extremely accurate. Window guns and an armored floor round out the specialized enhancements for a combat-ready Black Hawk helicopter. Whether you are ready for an upgrade or looking for helicopter maintenance parts, our high-quality construction offers peace of mind. You’ve made the right choice. Request a quote for Black Hawk helicopter parts, or learn more about the parts of a helicopter in general.